This dense groundcover is favored for its colonizing grass like foliage that spread by Rhizome and its lavender to white late summer bloom. The growth is to 15″, and it will work well as a semi evergreen groundcover. It should be cut back in spring. It is hardy to zone 4, Deer resistant and easy to grow in average well drained soil in full to partial sun. 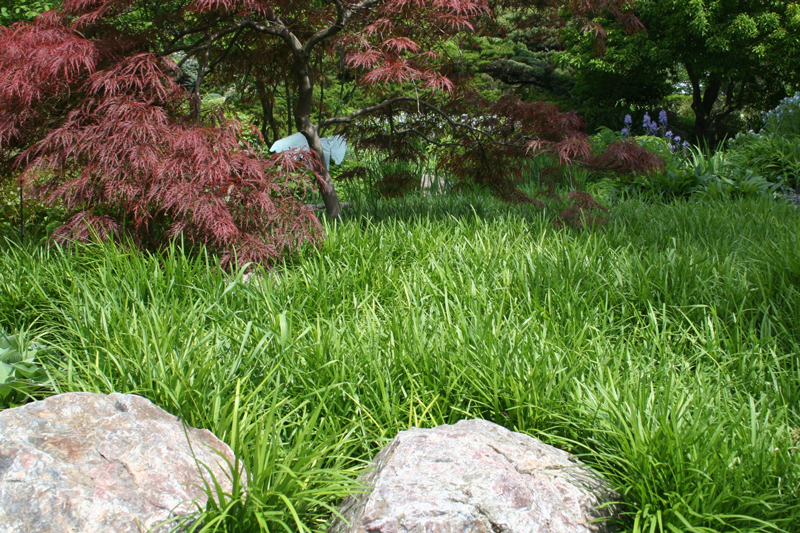 We would use this plant as a tall groundcover, under shallow rooted trees like Maples and as a soil stabilizer on slopes.